The newest technology edging its way into the world of dairy farmers is robotic milkers. It’s an expensive investment, yet the farmers who invest in it are rewarded with more milk production, less infections in their herd, and more free time. Desperate for reliable labor and buoyed by soaring prices, dairy operations across the states are moving into a brave new world of milk production: robotic milkers, which feed and milk cow after cow without the help of a single farmhand. Farmers say a major force pushing them in this direction is to cut labor costs — health insurance, room and board, overtime, and workers’ compensation insurance — particularly when immigration reform is stalled in Washington and dependable help is hard to get. With the tightening of immigration laws, workers are less apt to make their farming jobs permanent. Along with labor worries, cheaper credit and improvements in technology are coming together to tip the scales in favor of robotics on dairy farms. Robotic milkers are remarkable machines. The cow notices a treat in the machine and enters. The sensors detect if the cow has been recently milked or not. If she has, she is made to exit the machine. 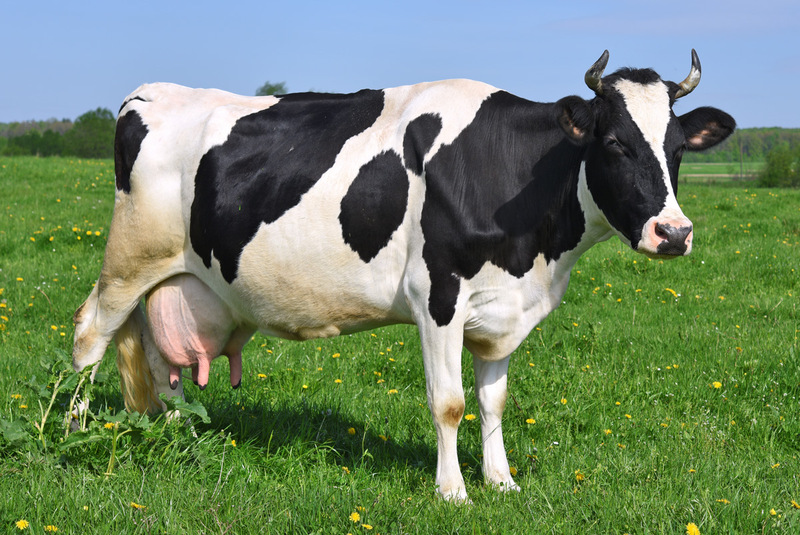 The amount of pellets given to the cow depends on how much milk she is producing, which is determined by an identification transponder relaying information to a computer. Because the animals are creatures of habit, they learn this routine within a few days. The cows decide when to get milked, which turns out to be 2-3 times a day. 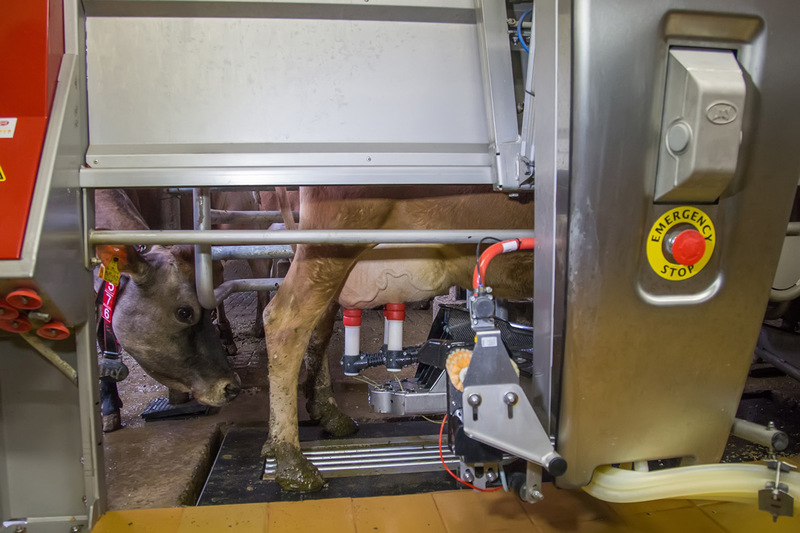 As soon as a cow enters the robot, her udder and teats are sanitized with a spray that comes from the robotic arm that has gone underneath her to the udder. Then the robot automatically washes her teats and a small sample of milk is taken from each quarter of the udder. 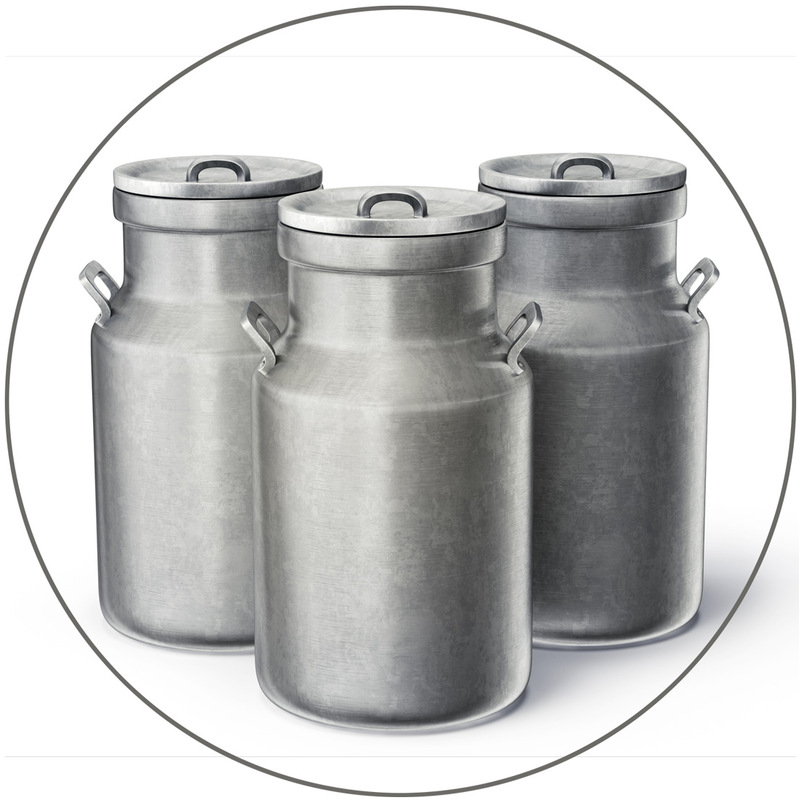 If there are any problems with the milk, like mastitis, blood or foreign matter, the milk is rejected and does not go into the bulk tank. After the cow is done milking, the milkers come off automatically and she leaves the robot. Another cow is usually waiting to enter to be milked. The robot is better than a human at catching mastitis, as well. Because the robot finds it so early, the average turnaround time for a case of clinical mastitis is two days. Unfortunately, cost is always a factor. The primary disadvantage is the capital investment of $150,000 to $200,000 per robot that will milk 50 to 70 cows each. But advances in robotic technology, improved management skills, and higher labor costs will eventually change these results. The farmers who have made the decision to move forward with this type of technology have not been disappointed. The upfront cost may be striking, but most find that when you write out the labor savings and the increase in production, the return on investment is favorable. The robotic milkers give the farmer and family their life back, enabling them to commit to family and social functions, something farmers are in dire need of. 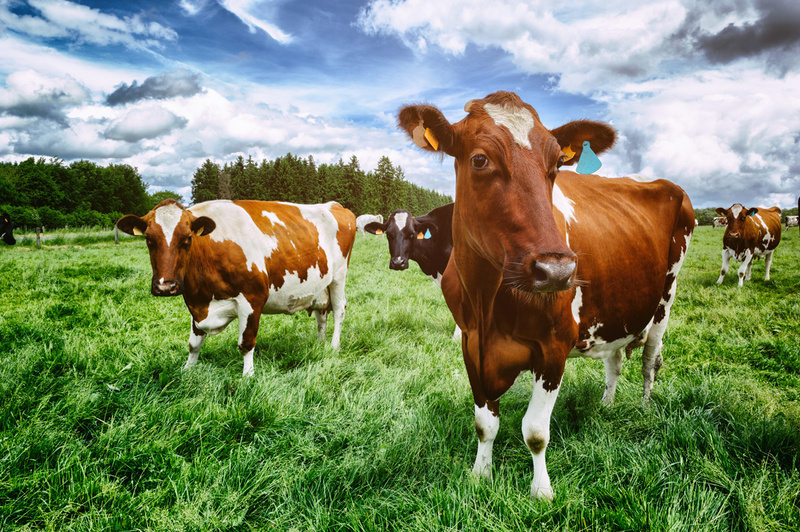 The investment seems to be a win-win situation – for both the farmers and the cows. Previous Post Have You Thought About Adding a Class Newsletter?